MiShel Designs: Artisan Cyber Sale! Join in the fun and shop handmade at the largest Artisan shopping event for Cyber Week! Friday, Nov. 23rd - Friday Nov 30th! 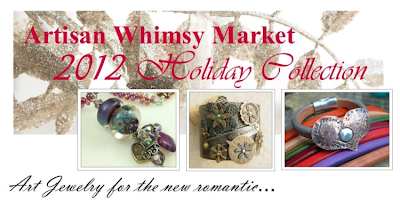 Each participating member over on Artisan Whimsy will be offering a discount in their own stores or on their facebook pages and will be promoting their own give-a-way as well. to be entered to win some awesome goodies! from Friday, Nov. 23rd - Friday, Nov. 30th! Upon Check Out To Receive Your Discount. sterling silver earrings on December 1st. To be entered in my drawing, be sure to leave a comment below in this blog post and then come back here on December 1st to see who the lucky winner is! Peace, Love and Whimsical Shopping! Love those earrings! I would love to win them! Those are so pretty! I'd love to win them! these are lovely! I'd love a chance to win. Hi, I'm visiting from Cynthia's blog, nice to meet you. Coin pearls, ooh, would very much enjoy these! Thanks for a chance in your giveaway, Gloria. 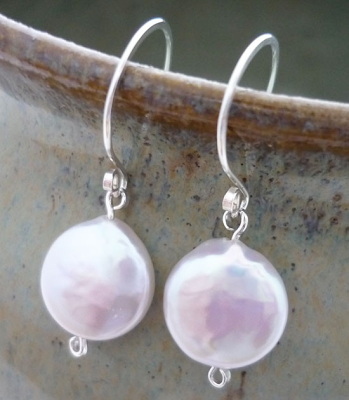 Thanks Shel, for the opportunity to win these lovely pearl earrings, good luck with your cyber sale. Those are so pretty. I love freshwater pearls and would love to win. Nice earrings! Thanks for the chance to win them! Very pretty pearl earrings - I would get a lot of wear out of those! I love all of your work and I love what you do with Pearls. I would love to win one of your pieces. These are so beautiful! Thanks for the opportunity! I'd love to be entered, I love these, simplicity and elegance can be brilliant!! I love coin pearls & those earrings are fab! Would love to win! You do beautiful work! Would love to win!